For centuries people have been drawn to Eastern Oregon communities for the same reason – sure there’s the friendly people and the well-preserved history, but the main draw has to be the overwhelming natural beauty of the area. La Grande really lives up to its name. Roughly a four-hour drive from Portland and two from Boise, La Grande is framed to the east by the Blue Mountains, to the southeast by Pendleton and is skirted by the 182-mile Grande Ronde River. In the very early 1860’s, La Grande grew rapidly thanks to the many gold mines in the area and a favorable agricultural climate. But La Grande may never have become La Grande if not for its proximity to some very special warm, soothing waters. Native American tribes first discovered what is now known as Hot Lake Springs and used it as a place to rest and nurse their injured or sick on neutral ground. Pioneers on the Oregon Trail used the lake as a welcome rest stop on their arduous journeys west. 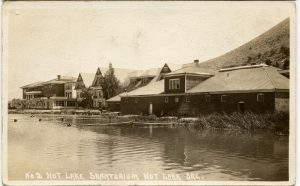 Eventually, an industrious man by the name of Newhard realized that Hot Lake Springs was a big draw –so he built a hotel, a blacksmith’s shop, a post office, a dance hall, a barber shop, a drug store and several bath houses. He called it his “Town Under One Roof” and once the Union Pacific Railroad started passing through, Hot Lakes Springs and nearby La Grande became vacation destinations for people from all over the world. Just about halfway between La Grande and Hot Lake Springs is a different kind of destination. This one is for furred and feathered types. 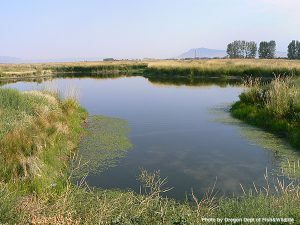 The 3,208-acre Ladd Marsh Wildlife Area was developed by Oregon Department of Fish and Wildlife as a viewing and preservation area for birds and animals. Nature lovers can see wildlife of all sizes and kinds in these marshlands. Just drive out along Foothill and Peach roads and don’t forget your binoculars. With primo access to some amazing outdoor adventuring, La Grande is a great place to visit for a few days. It’s also a great place to go spend four years – for the exact same reason. Eastern Oregon University, formerly known as Eastern Oregon State College, and then as Eastern Oregon Normal School, began in 1929 as a teacher’s school. Today they currently have around 3,000 students and are known for their location in an outdoorsman’s (and outdoorswoman’s) paradise. EOU offers numerous academic programs related to the outdoors. Go Mountaineers! La Grande’s past never feels far off and delicious meals around here often come with a side of history. If you want a great meal and lots of variety in a historic brick building downtown, check out Ten Depot. This place has a turn-of-the-century bar and live music twice a week. Just around the corner from Ten Depot is Side-A Brewing. If you’ve ever wanted to grab a locally-raised burger and a pint in an old firehouse/fire museum, then this is the place for you. Check out the vintage fire paraphernalia and the fireman’s pole while you wait for your food. And since breakfast is the most important meal of the day, Joe and Sugar’s Cafe has everything you need to make sure you have a full belly before you hit the trail. 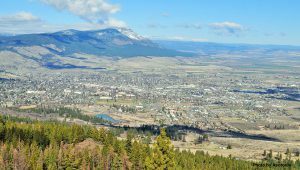 With great history all around and endless activities to pursue in a beautiful, quintessential Eastern Oregon setting, La Grande really has no trouble living up to its name.